SEATTLE / PRNewswire/ -- With climate change and natural disasters posing a growing threat to communities across the United States, economists and real estate experts favor funding for preventative measures and construction regulations over the government providing or requiring insurance. This is according to the Q1 2019 Zillow® Home Price Expectations Survey[i]. The quarterly survey, sponsored by Zillow and conducted by Pulsenomics LLC, asked more than 100 real estate economists and experts for their predictions about the U.S. housing market, including their point of view on what, if any, action governments should take in areas at a high risk of experiencing a natural disaster. In November, Zillow predicted a record number of homes would be affected by natural disasters in 2019. Approximately 15,000 homes were destroyed by wildfires in California alone last year. 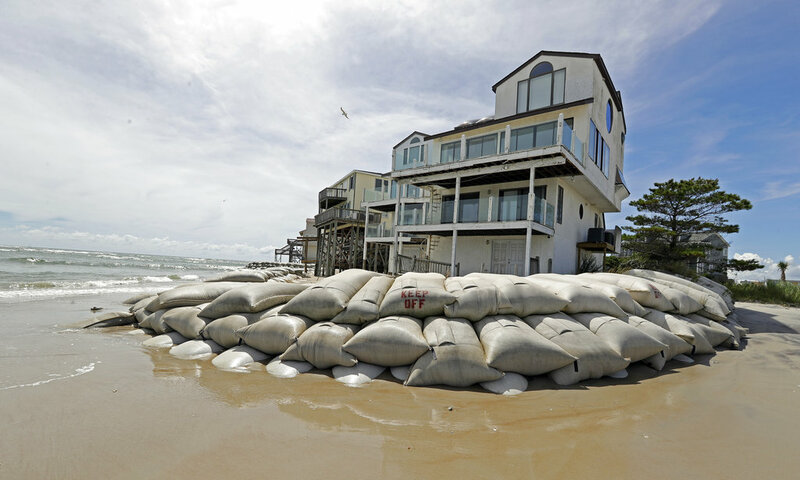 Previous research by Zillow and Climate Central estimated more than 386,000 coastal homes worth in excess of $200 billion are at risk of permanent inundation or chronic flooding by 2050 due to rising sea levels, and homes are still being built at striking rates in areas that face high risks of future flooding. "Natural disasters are occurring with growing frequency and intensity, and across the United Statesresidential development has expanded in recent decades closer and closer to vulnerable wildlands," said Zillow senior economist Aaron Terrazas. "The result is that more and more Americans are discovering – sometimes painfully too late – that their homes are at risk. Policy makers are struggling to find solutions to protect their communities and often face a difficult tradeoff between new building regulations and infrastructure investments that can drive up housing costs and taxes, or requiring insurance that also raises costs to homeowners and, in some cases, makes taxpayers liable for the bill. There are no easy solutions, but the one outcome that is clear is that residents of the most at-risk communities will ultimately pay the cost in one way or another." Despite these forecasts, less than a fifth (19 percent) of panelists say the government should underwrite or subsidize property-loss insurance. Less than half (42 percent) support government mandates requiring homeowners in high-risk areas to carry insurance against natural disaster losses. Suggestions for preemptive measures garnered more support. Among five policy proposals suggested in the survey, the panelists' top choices were enforcing strict building codes to meet state-of-the-art resilience standards and declaring construction moratoriums in the highest-risk areas. Public investment in defensive infrastructure, such as seawalls, jetties or de-forested zones, was popular as well. Insurance mandates and the permanent demolition of homes repeatedly destroyed by natural disasters were less favored.